Our Cub Scout den had a field trip to Nana's Pacas in Flower Mound. Nana's Pacas is actually at a residence in Flower Mound. 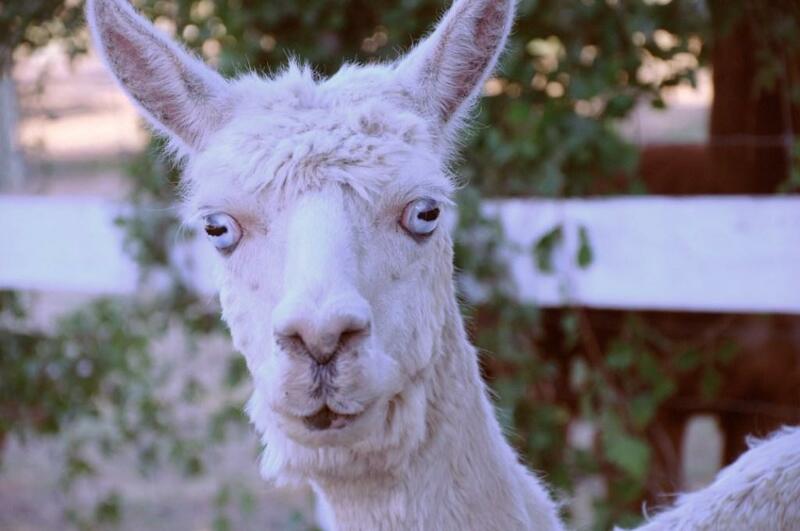 It is owned by a couple, Ellen and Tom Floyd, who fell in love with alpacas. They care for them like children. They breed and sell alpacas but also sell the fibers from their wool. The taller alpaca is Rosemary. She was the first female alpaca that the owners bought. Goldie is the other alpaca in this picture and she is one of Rosemary's daughters. 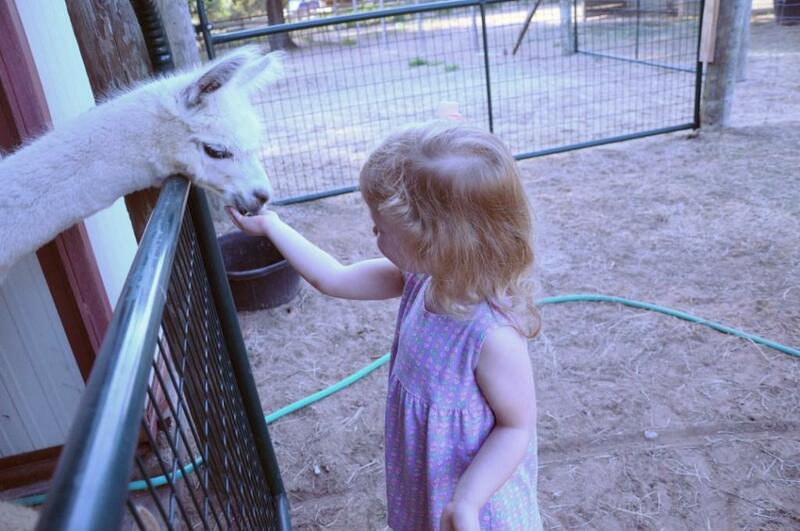 We learned that the alpacas with white fur and blue eyes tend to be deaf. Alpacas are very friendly animals. I was amazed that Rachel wasn't afraid of them but she did really well the whole time. She even fed several of them by hand! I was so proud of her! Nicholas fed several of them too but he may be more skiddish than Rachel because if the alpaca even barely tickled his hand he would giggle and spill the food from his hand. 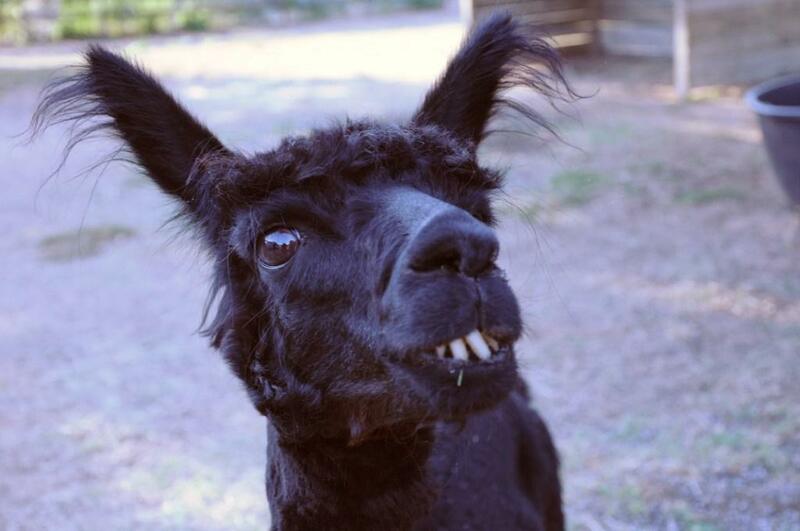 The alpacas are cute but some are definitely "wilder" looking than others. This little guy was nice to us but I heard that he doesn't get along well with the other male alpacas. Rachel forgot all about the alpacas for a while when the dog came over to visit her. 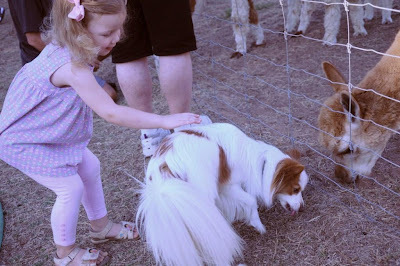 The kids and alpacas wandered around in some of the same areas together. The alpacas are larger than the boys but they are easily frightened so they simply run away from the loud, fast-moving boys. In South America, they eat alpacas and make things with the alpaca pelts. This is a beautiful and very soft Mickey Mouse blanket made in South America from alpaca pelts. They different colors of fur each have different textures and different levels of softness. We also looked at several items made from wool sheared from alpacas including some that the owner had made herself. Nana's Pacas are located at 6504 Orchard Drive in Flower Mound. Their phone number is 817-490-8899. 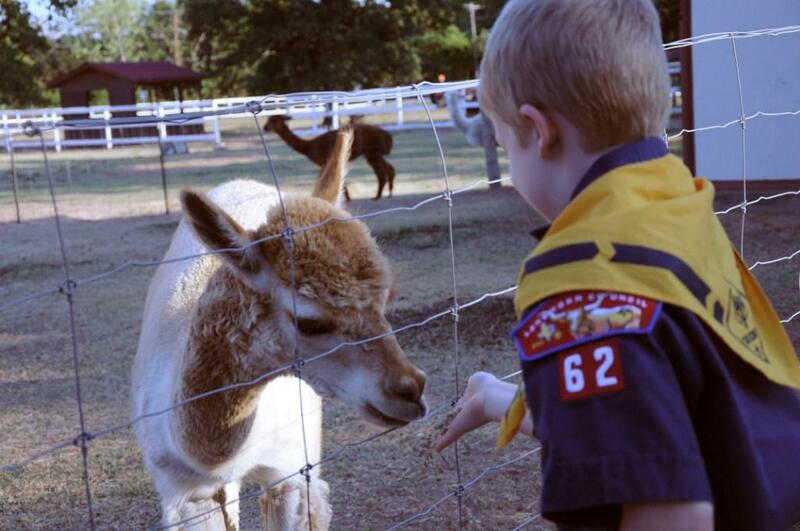 This weekend is National Alpaca Farm Days. The farm will be open to the public Saturday, September 25, 10:00 AM - 5:00 PM and Sunday, September 26, 12:00 PM - 4:00 PM. Stop by and tell Ellen and Tom "Hi!" for us.